The Volvo S60, V70 and XC70 have all been around for 5 years now, so Volvo thought it was time to refresh them. They all boast new, ‘softer’ fronts subtly different from each other, new interiors and the option of an innovative new system Volvo calls “BLIS”, for blind-spot information system. The idea is to eliminate the blind spot in the car door mirror’s field of view with the intention of making lane changes safer in streams of traffic. A wide-angle camera in each mirror arm surveys the blind spot area and relays the information to a computer which assesses the level of risk. 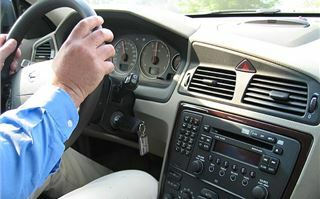 If the object it spots is moving much faster than you are, or you are moving much faster than it, this is considered low risk and a warning unnecessary. 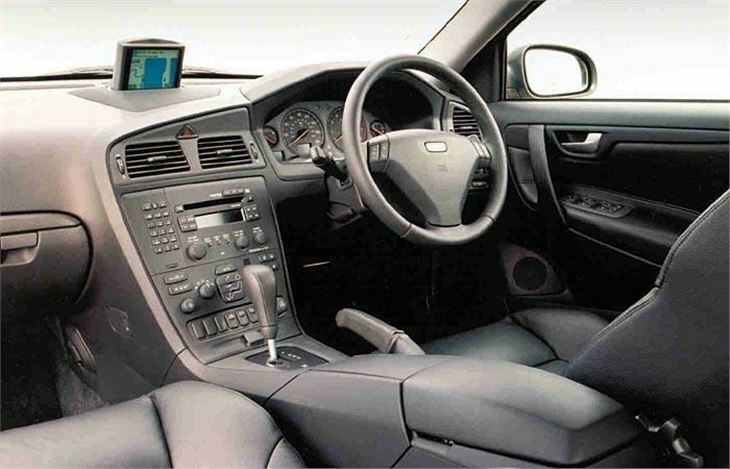 But if, as is so often the case in parallel streams of traffic, a car has sneaked up on you or you have simply forgotten about it, the system warns you something sitting in your blind spot by means of a light in the door trim next to the mirror. A lot of bugs had to be worked out of the system to prevent it being unduly alarmist, and this means it won’t necessarily spot bicycles or light mopeds, but it will pick up scooters and motorcycles, as ours did by spotting a Hells Angel on a Harley shortly before he drew up alongside us at some traffic lights. So, another “genuine contribution to road safety,” as Sir Robert Mark used to say in the tyre commercials, and probably worth the £350 or so it is likely to cost as an extra. A second new safety feature, standard this time, is a rain repellent coating on the front side window and mirror glass to help keep them clear. This needs to be renewed at the dealer every four years or so, but at least the glass comes coated from the factory, avoiding the smears that can sometimes obscure aftermarket glass rain repellent treatments. 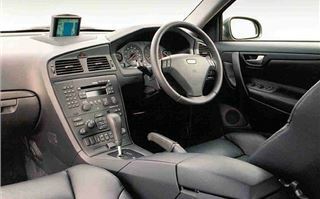 Inside the cars the dashboards are more luxurious, the centre console better planned with a sort of multi-lid to the armrest compartment with grippers for cups, cans and bottles of different sizes. Very comfortable fully adjustable seats remain standard. We tried three cars, all on the same route which mixed autobahn, fast main roads, undulating country roads and small towns. First, an XC70 D5 with the new 6-speed manual gearbox. It wasn’t overgeared in 6th as diesels sometimes can be, giving about 31mph per 1,000 rpm which should endear it to caravanners. The 163bhp engine remains as lusty as it was before. And, as well as shrugging off potholes, traffic harming measures and kerbs, the big, chunky tyres greatly aid the ride comfort. Volvo has adopted its FOUR-C active suspension for this and T5s, refined from the system first seen on the Type R last year and, thankfully, much more posterior friendly. It now offers very usable ‘Comfort’ and ‘Sport’ settings. And, for a jacked-up four-wheel drive car with off-road capabilities, the XC70 handles extremely well on the road. Hunting, shooting, fishing expeditions can be undertaken without the journey there feeling like you’re in a truck. Our only real criticism was a rubbery and slightly imprecise new 6-speed box, but we were promised this would be fixed for production versions. 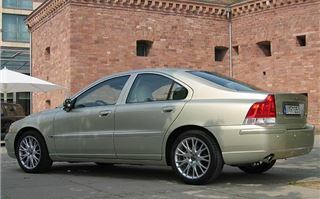 Next, an S60 T5 automatic with the same improvements, but an engine now boasting all of 260bhp. That went like a scalded cat. In fact we managed to hold a manual version on a twisty bit of autobahn, but it does appreciate having its four C in Sports mode when treated like this. In ‘Comfort’ it rises up on its suspension and becomes a bit wallowy. And Volvo, please, give us some steering paddle shifts, or at least fix the Tiptronic change so it works back to change up and forward to change down. A handy feature of this model is a sprung boot barrier to keep bags in place between the rear wheels without having to resort to a net. 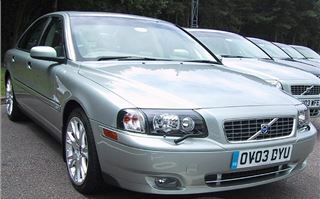 Third, but coming up for first place, was the delightful V70 260bhp T5 6-speed manual which combines the capacity of a van with the performance of a sports car. This had the most character. As well as a really nice, grippy, safe handling front-end, it actually encourages you to throw it around and rewards you in spades when you do. Hot hatch drivers don’t get nearly as much fun as can be had from pushing a new V70 T5 with the confidence that you know the front end won’t let go. 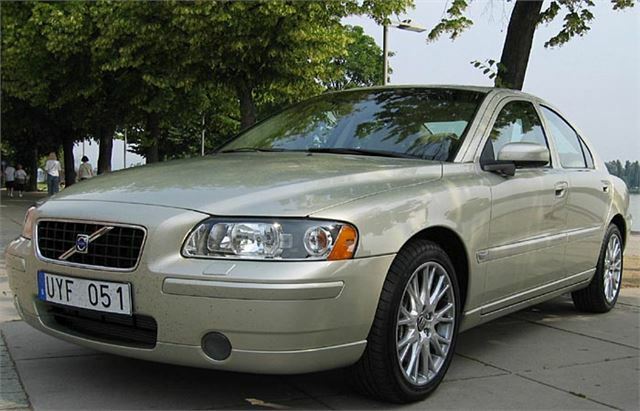 That could be why the V70 rather than something like a Ford Focus is Sweden’s best selling car. 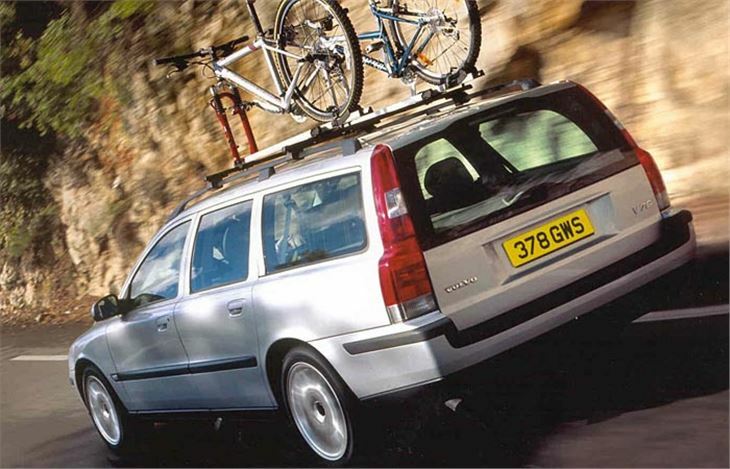 This Volvo could not be further removed from the lumbering middle-of-the-road Volvo estates of 20 years ago.